Spyder Optics Dirt | Where Have You Been Lately? 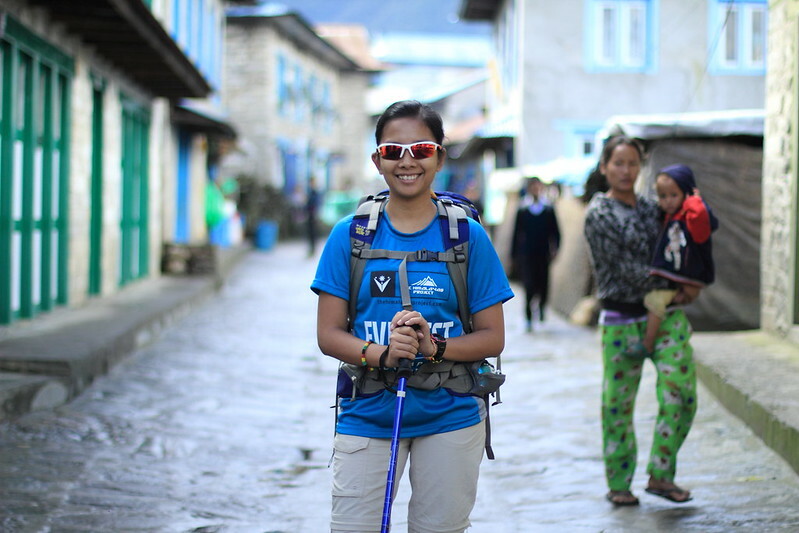 When we trekked to the base camp of Annapurna last year, we didn’t really think that sunglasses would play an important part in our activities until we got there. Apparently, snow glare from the snowy mountains of the Himalayas can cause snow blindness therefore the use of proper sunglasses is a must. Good thing Rowjie brought two of his sports sunglasses that I was able to use one. And since trekking to Everest Base Camp would require such need again, we had to make sure that this time we’re not going to another battle unarmed. Why so bright and white, Mountain? I am not a fan of sunglasses because of my low visual acuity. But when I have to use one, I’m really picky. It must compensate my 150/150 vision, should be chic, appropriate to my type of activity, and most of all, it must fit me perfectly. I have an oily type of skin so my eye-wear must not slip my nose every time I move, which is the problem I have with most sunglasses (even with the reading glass I am wearing). I never thought that all of the features I am looking for in a sunglasses can be found in Spyder Optics’ Dirt (product code 9S042). The one I got has the color White/Chrome Red polycarbonate lens and it looked so good on me! Actually, my initial choice was the model Corsair but I found it too big for the size of my face. Rowjie agreed to switch sunglasses with me and what a great decision it was. It’s lightweight and fits perfectly on me! 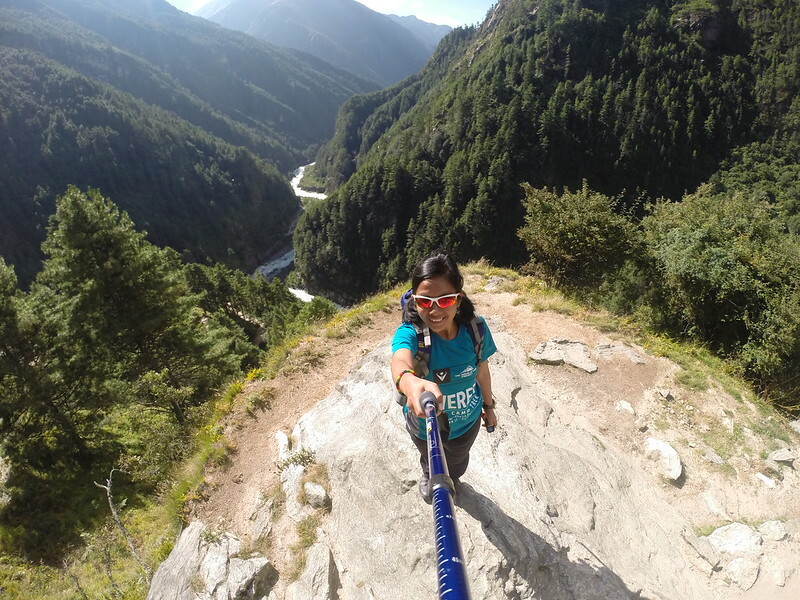 There were moments during our EBC trek when I would forget that I am wearing a sunglasses. Aside from the two free lenses (yellow and black) that come with the Dirt, its only costs Php 1,100 which is way, way cheaper than Oakley, Ray-Ban, and Rudy Project. You get the same quality (or even better) at a lesser price. Rowjie has a few genuine Oakley eyewear which replacement of lenses with coating that’s peeling off had already cost him a fortune. In Lukla Village during the first hours of our trek. Approaching Hillary Bridge, the highest suspension bridge in Khumbu Region of Nepal at 2900 MASL. 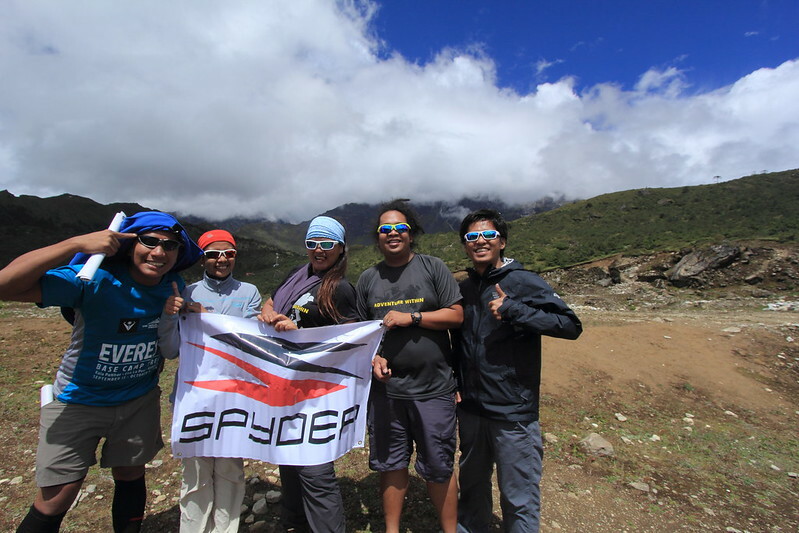 Don’t assume that I am exaggerating because Spyder Philippines supports our The Himalayas Project team. With or without their support, I have to say that I really, really love my Dirt. 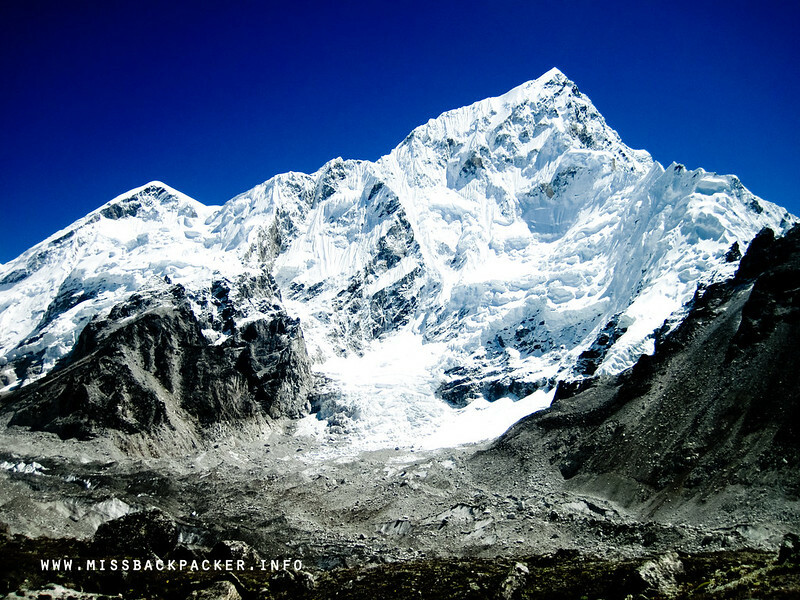 Our photos taken during our EBC trek will prove it. I was using the sunglasses the whole time we were trekking. Since it doesn’t make me dizzy, I even like it better than my reading glasses. Grilamid TR90 is a near-indestructible homopolynamide nylon characterized by high bending strength and the ability to withstand extreme impacts. The material is also exceptionally resistant to chemicals and sweat, as well as damage caused by ultraviolet rays. Quickchange frames lets you switch to lenses that best suit the challenge ahead of you. Specific frame designs include special sets of lenses. These lenses were designs to make the piece usable in a wide variety of lighting conditions. Each set enhances visual acuity in a given situation. ★ ★ ★ ★ ★ – If I could give 6 stars, I would. My Dirt shades has all the features of a great sunglasses for me. After choosing from their online catalog, you can order Spyder Optics online from the website, which is super easy. But if you want to try out the fitting of the sunglasses first, Spyder stalls be can be found in SM malls nationwide. 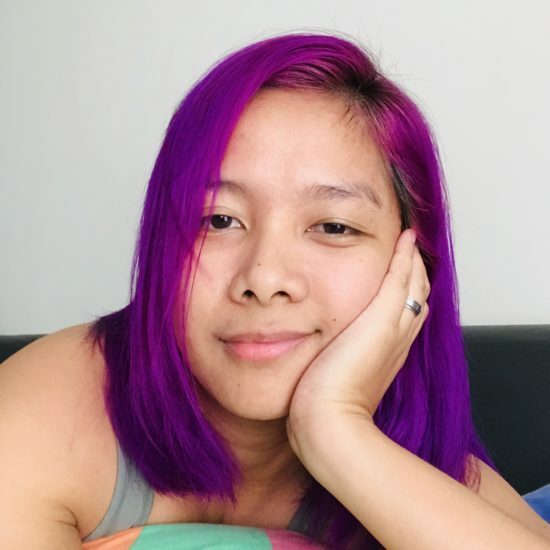 Here are the other models that Rowjie (Corsair), Agot, Dwine, Melo (Falcon), and Migs (React) have. Click on the photos to know more of their specs. And here’s another kulet video Dwine created showcasing all our Spyder sunglasses.